At DBS, we provide two quality products to suit your basement window needs. Our windows provide a waterproof, visually appealing solution that will last for years to come. Call us today to get a free estimate in Superior, Duluth, Minneapolis and nearby in Minnesota and Wisconsin! If you want to create a better looking, more energy-efficient basement in your home, call DBS today for a free estimate on replacement windows, window wells, or any of our other basement waterproofing products. 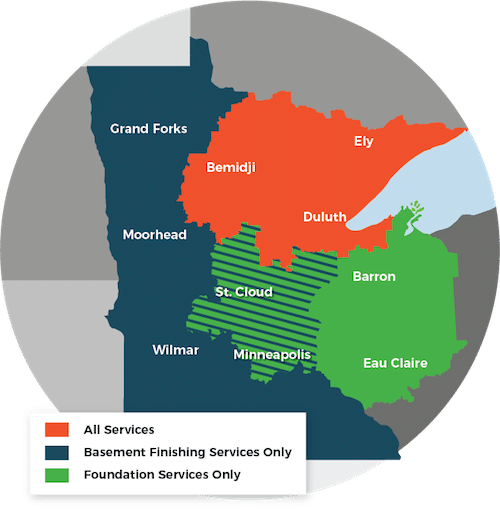 We proudly serve in Superior, Duluth, Minneapolis, Hermantown, Two Harbors, Cloquet, Esko, Virginia, Ashland, St. Paul and throughout the surrounding areas.